Achieves ISO certifications for its information security & business continuity management systems. Successfully field test pre-5G LTE advanced pro technology in South Asia. Introduces of SEA-ME-WE 5 Submarine Cable System. SLT becomes a Global PoP with Double-Landing Station, Matara, Sri Lanka. Start providing global connectivity backhauling facility via Sri Lanka. Launch of Fibre Optic Broadband (FTTx) service. Terabyte Broadband Data packages introduced. SLT Inks USD 415 Million ICT Investment Agreement with the BOI. SLT launched “Sisu-Connect” service to Strengthen “Children-Parent” Communication. SLT Broadband enhances speed up to 4 times faster (up to 16 Mbps). SLT launches TV Banking service on PeoTV platform. SLT subsidiary, Sky Network Private Limited launches Skymax- the first ever WiMAX 16e broadband service in Sri Lanka. SLT Group Records Rs. 50 Bn Revenue. SLT launches i-Sri Lanka network modernisation project for consistent, uninterrupted high speed internet. SLT launches new Corporate Vision, Mission & Values - taking next steps towards transformation and further customer centricity. 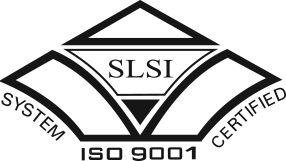 Sri Lanka Telecom receives ISO 9001:2008 certification. SLT launches Prestige Card,a loyalty reward card for personal solution customers. SLT boosts distance education in Sri Lanka through broadband connectivity, to National Online Distance Education System. NTT Communications Corporation of Japan who held 35.2% of the total stated capital of the Company sells their holding in its entirety, to Global Telecommunications Holdings N.V. of Netherlands. Mobitel strikes with the launch of M3. Standard & Poor’s rates SLT above the country’s sovereign rating (SLT:BB-). SLT launches PeoTV (Sri Lanka’s first IPTV service). SLT obtains BOI status & SLT Mobitel signs BOI agreement for Stage III GSM and 3G expansion project. SLT launches volume based broadband Internet package. SLT to host SANOG IX, South Asia's largest networking conference. SLT inaugurates Dhiraagu - SLT submarine cable system between Maldives and Sri Lanka SLT and BSNL launches Bharat Lanka Submarine Cable System. SLT officially inaugurates local operations of landmark SEA ME WE 4 submarine cable system. SLT Citylink, Sri Lanka Telecom’s CDMA network launched in Anuradhapura Sri Lanka Telecom Focuses on Intelligent Business Solutions. Sri Lanka Telecom receives the prestigious Fitch SL “AAA” rating. Sri Lanka Telecom launches its state-of-the-art Internet Data Centre. BSNL of India signs an MOU with SLT for submarine cable system between the two countries. Sri Lanka Telecom shares first traded on the Colombo Stock Exchange (CSE). SLT Broadband Connections shake up the marketplace. Market liberalization of International Services. Sri Lanka Telecom acquired balance 60% share of Mobitel (Pvt)Ltd - a mobile communications company. Rs. 7,800 million Regional Telecommunication Development Project completed. SLT also completed Rs. 44 billion infrastructure development project. First optical fiber ring connects 15 cities. Faults reporting and handling centralized to a universal number - 121. Teleshop - Customer Care Centers opened. Sri Lanka Telecom privatised with the collaboration of Nippon Telegraph & Telephone Corporation (NTT) of Japan. Internet and E-mail Services introduced. Sri Lanka Telecom Corporation converted into a Public Company. Sri Lanka Telecom Corporation formed. Postal and Telegraph services separated, forming two departments: Telecommunications and Postal. International Direct Dialling (IDD) service introduced. First Earth Satellite Station (Standard A) commissioned in Padukka. The Post and Telecommunications Department of Ceylon takes over the operations of the Cable & Wireless Compnay. International operations handed over to Cable & Wireless Company. Government of Ceylon took over Oriental Telephone Company with its manually operated exchange. Postal and Telegraph services amalgamated under the control of the Government of Ceylon. First Telegraphic Circuit established between Galle and Colombo. First international telegraph communication established between Ceylon and India. Successfully field test pre-5G LTE advanced pro technology. Introduces SEA-ME-WE 5 Submarine Cable System. Phase 5 of NGN migration completed. SLT partners 15 global telcos to connect continents via SEA-ME-WE 5 submarine cable system. Announced soft-launch of VDSL2 technology to enhance customer's broadband experience. SLT launches Technology Experience Centre. SLT deploys its FTTx technology with i-Sri Lanka project to improve Country's Broadband experience. SLT successfully deploys IPv6 in ISP Network. SLTnet goes 1 Giga bps in international backbone. SLT and BSNL launches Bharat Lanka Submarine Cable System. SLT rolls out Metro Ethernet Services. SLT is the first to introduce eProcurement System in Sri Lanka - eTENDER facilitates online transparency and efficiency. First optical fibre ring connects 15 cities. Linked up with SEA-ME-WE III digital fibre optic submarine cable. Fully digital third Satellite Earth Station (Standard A) commissioned in Padukka. Linked up with SEA-ME-WE II digital fibre optic submarine cable. Linked up with SEA-ME-WE I analogue submarine cable. Second Satellite Earth Station (Standard B) commissioned in Colombo. First Digital Master Exchange installed. Subscriber Trunk Dialling (STD) Service introduced. Installation of Automatic Telephone Exchange at Kahawatta in Ratnapura District.